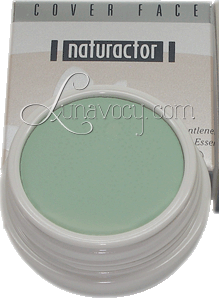 Green neutralizes any redness on your face, from broken blood vessels, blemishes, irritation etc. It helps inhibit red complexion effectively cover the red spots left by acne. For all skin types even sensitive skin. Long coverage on spots, scar, dark eyes circle, face and neck area. It can also be applied on hands and legs to cover uneven tone or scar. Kod 171 adalah sebagai concealer (penutup cela) di wajah seperti eyebag, bekas jerawat dan jeragat dan sebagainya. Tidak perlu di guna seharian kerana cover face yang biasa sahaja sudah cukup memberi litupan menyeluruh yang ringan.